A moment of danger has arrived for transparency in Europe. Several German states governed by the SPD and the Green party are threatening to reverse their previous opposition to a scandalous tax amnesty agreement with Switzerland, which provides impunity (and numerous escape loopholes) for wealthy criminal tax evaders. We have written about often this before. If this agreement goes ahead, it will have the political effect of undermining many years of work to build transparency in Europe through the Savings Tax Directive and its forthcoming amendments. The state governors will meet tonight to discuss whether or not to approve the deal, and the governors of Berlin, Hamburg, North Rhine-Westphalia, Rhineland-Palatinate and Baden-Wuerttemberg have been giving worrying signals that they might capitulate on this deal. They have been promised large tax revenues from the Swiss deal - and those recalcitrant states have recently been offered a higher proportion of the total revenues, as bait to tempt them into accepting this squalid deal. (We have demonstrated beyond doubt that revenues from the deal will be only a fraction of what has been publicly promised, however.) Only two or three countries need to agree in order for the pro-Swiss Finance Minister Wolfgang Schäuble to get a majority in the Bundesrat to push this Swiss secrecy steamroller forwards. So today we want to mobilize all forces once again. Please get involved: Call right now at the Treasury or the State in one of the countries and ask the end for the tax treaties. 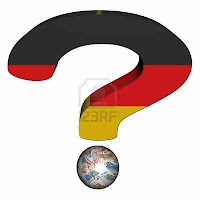 Further details about how to get involved, in German, here and here. Could a new consensus emerge on corporate taxes?